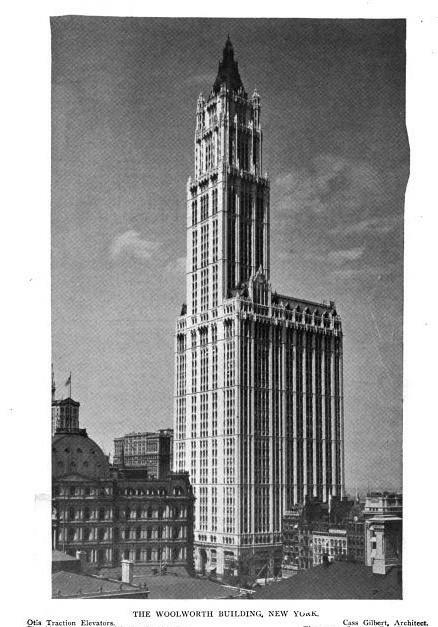 The Woolworth Building designed by Cass Gilbert c. 1913 at 233 Broadway in New York City. 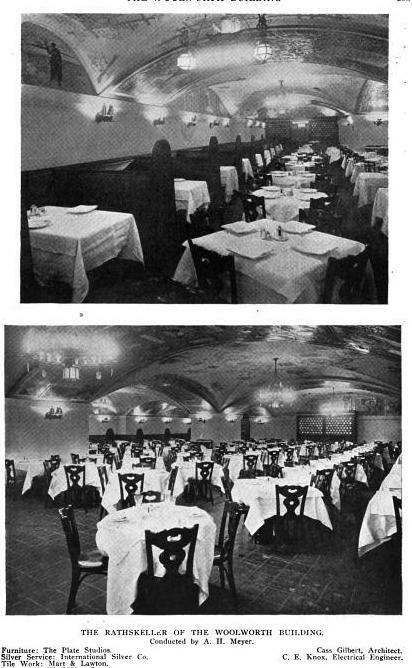 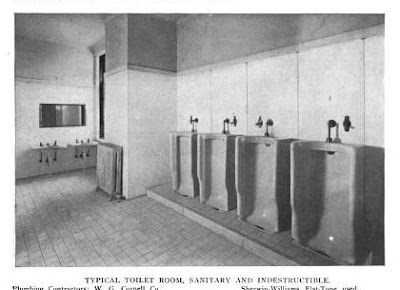 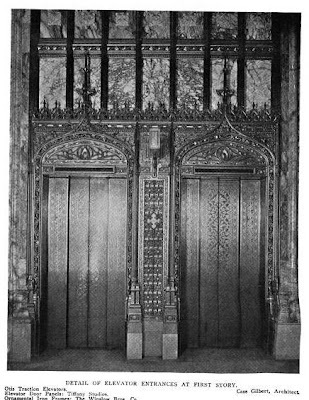 Built by Frank W. Woolworth, head of F.W. Woolworth Co., the building was the world's tallest from completion until 1930 when it was overtaken by 40 Wall Street. 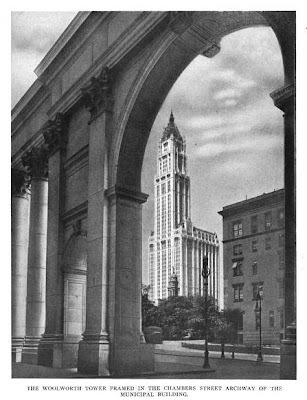 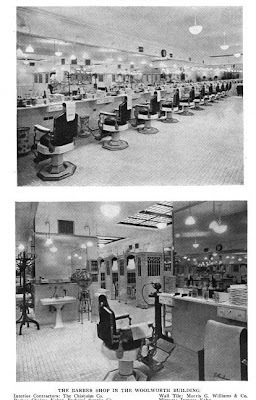 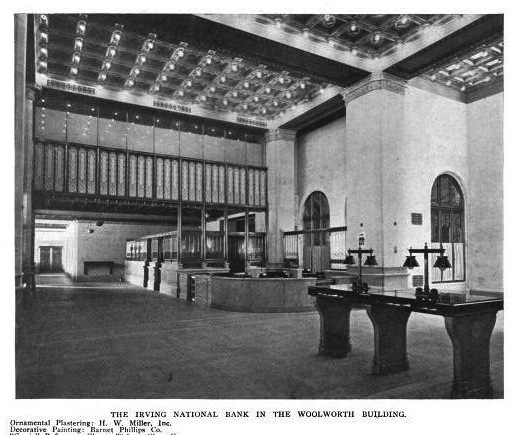 Click HERE and HERE for more on the Woolworth Building and HERE for Christopher Gray's Streetscapes article. 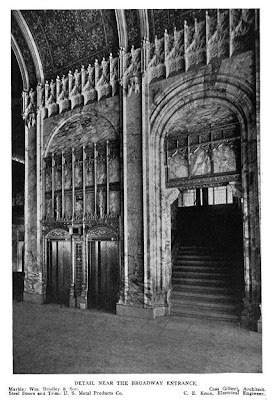 Click HERE to see the building on google street view. 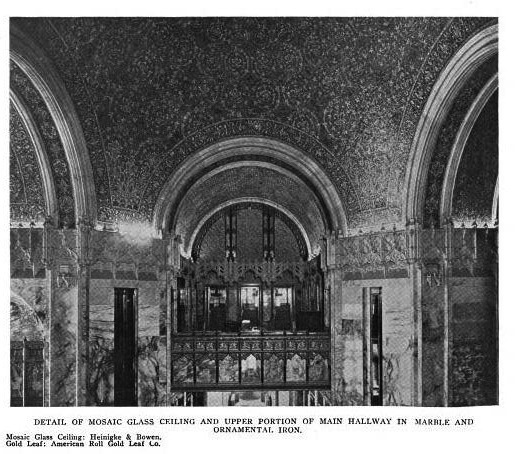 This is the Gilbert who really knew how to pull a composition together. 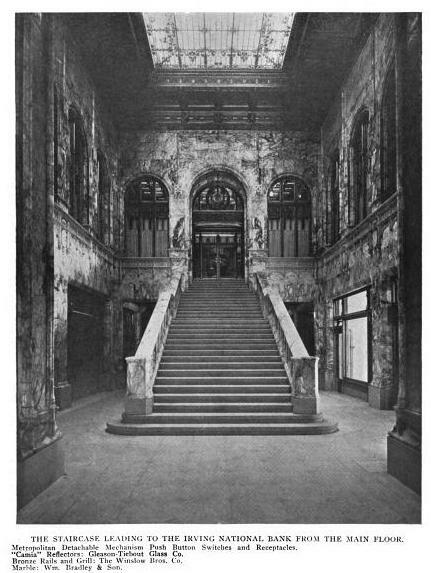 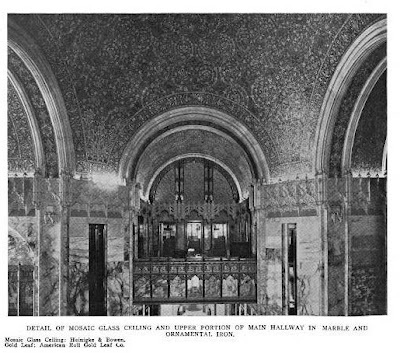 I once owned Cass Gilbert's own office albums of large format photographs, mostly by John Wallace Gillies, one of the best of the early architectural photographers., of this building and the New York Customs House. I used to browse through them over and over. 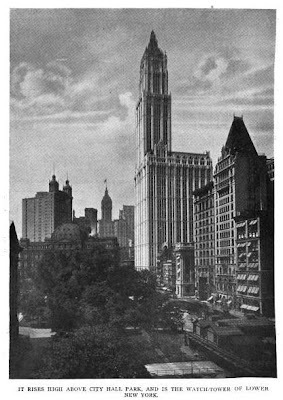 DED why I outta.............but, anyhow, that is one beautiful photo, the tower captured through the arcade of the Municipal Building another equally fantastic skyscraper from MM&W, (so you can forgive them for their semi-uninspired of a commission for Thomas Newbold featured here yesterday). 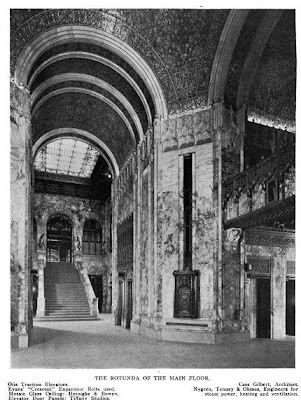 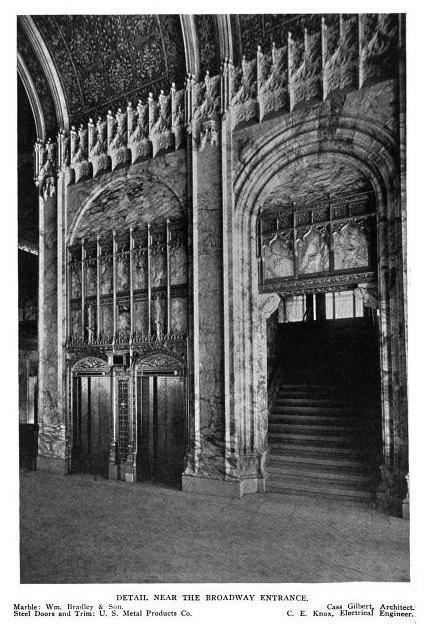 The Woolworth lobby is amazing in its lavish detail and sense of grandeur. Too bad we build such cheap and generic structures today. Unfortunately with Gerry's Spruce Street apartment tower and a few new towers sprouting up close to the building, the Woolworth is losing its once dominant position on the skyline in this part of Manhattan. Glad Woolworth always choose a Gilbert for the job. Those Gilbert twins were a great pair of architects. 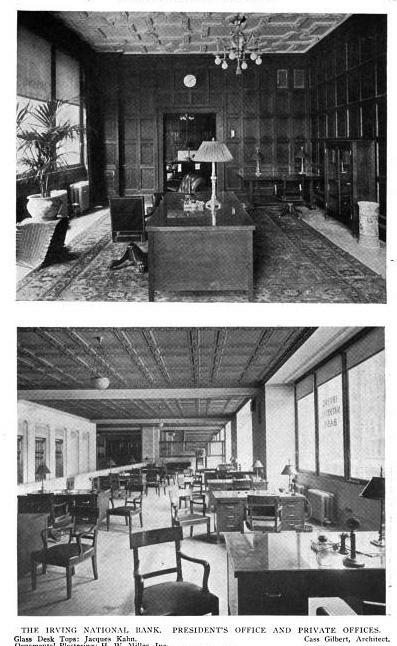 Had you covered from home to office.